If only Joffrey (from Game of Thrones) had Vessyl.. This very unique and sophisticated cup, recognizes and tracks what you are drinking. Vessyl has sophisticated sensors which analyze the content at the molecular level and they can “understand” what you are drinking at any moment. 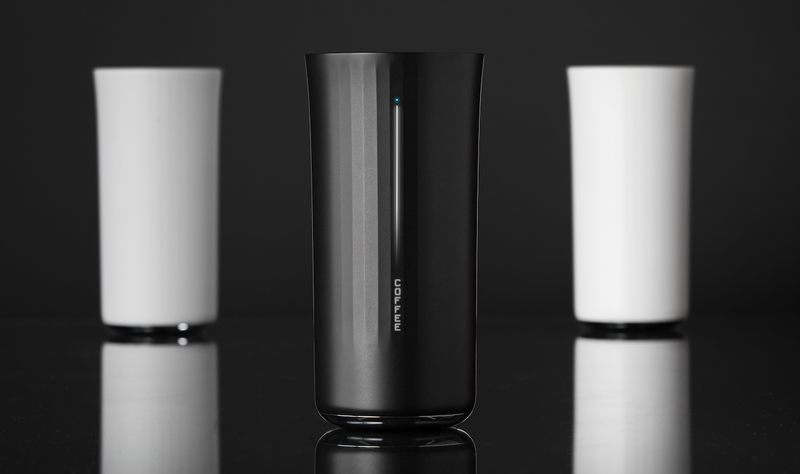 It literally detects the type of drink and volume you have at any moment in your cup and via bluetooth connection with Vessyl app, you can track how much more hydration your body needs. You do not need hold a Phd in Nanotechnology to use Vessyl. You simply pour the beverage you wish to drink (yes, of course its a beer), you lift it up as you would normally do with any cup in order to start drinking and by that time, the display on Vessyl gives you all the information you need about the name and nutrition value of the beverage. For example the display indicates the sugar or caffeine content as well as the total calories of the beverage you just poured in the cup. At the same time, you can track the progress of the nutrition intake on your mobile app based on the daily goals you have already set. Hey!! This is not what I ordered! Vessyl detects different beverage brands such as Starbucks’ latte by detecting the content of the drink. It can even recognize different type of yoghurt, smoothies or milkshakes. No surprises at what you are drinking anymore. This is the last time that somebody fools you. How can Vessyl understand my hydration needs if I go to the gym? Another impressive feature is the connection of Vessyl with activity tracking apps. This way, you always have up to date information about your hydration needs so you don’t miss any drink. Well, you don’t miss a drink at the bar either, do you? The Vessyl will be ready for launch in 2015 and it can be pre-ordered at $99. If you don’t want to buy it in advance, you will have to pay $100 more, should you wish to get it at a later stage. The sooner you buy it, the better the price.